What happens if the neighbours have a termite problem? An infestation of termites is any homeowner’s worst nightmare. Once these build a nest in any home, it is hard to get rid of them. But rest assured that reneging termites is very doable. There are a number of ways that a house can be hit by the termites, and one of the most proliferate reasons is getting it from your neighbours. So the question is; what happens if the neighbours have a termite problem? Before we delve any further, let’s first look at how the termite infestation works. Termites are known to travel both vertically as well as horizontally. 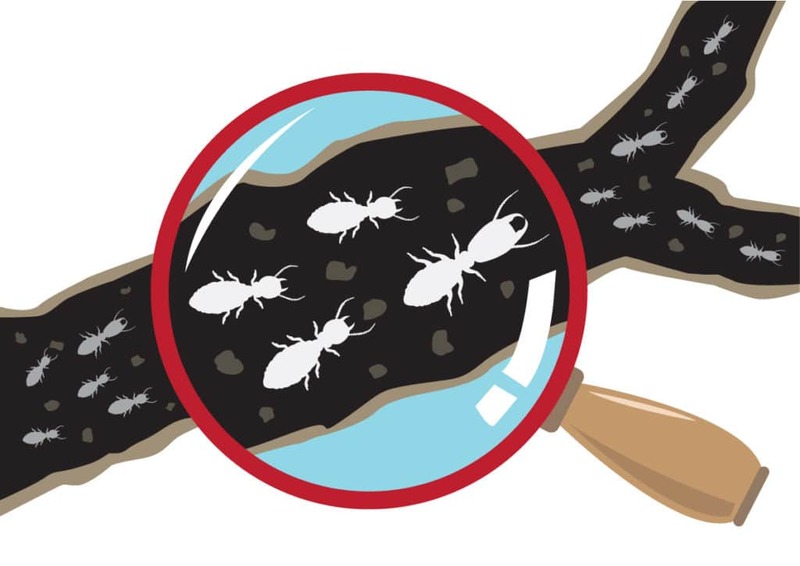 These pests construct mud tubes to travel from one source to another, engaging in termite activity and food sourcing. This allows them to travel both up as well as down the tube. Termites, like most insects, also live in colonies. Their colonies originate from the soil, and the way we lay the foundation of our houses these days can result in a severe termite infestation if the correct measures are not taken. How termites travel through homes? As we know, termites break into homes through their soil based colonies. Nowadays, our homes are built in clusters, most of them with wall-to-wall formations of a connected row. This closeness can cause termites to travel from one home to another, so even if your home is newly constructed, there is a chance your house could get termites from the neighbours – especially if they’d had a history of termite infestation. Besides the movement through mud holes, there are 2 major reasons for termite infestations that your house could contract through your neighbours. If they are investing in only surface treatments with contact kills and localized treatments, then the problem is not fully resolved and under control. The quality of the treatment depends on the outcome of the problem. There are a number of termite treatment options out there and sometimes the termitcide has compromised effectiveness. There are quite a few ways in which you could fight off the impending termite problem that your neighbours have been fighting off. Let’s take a look at a few of them. 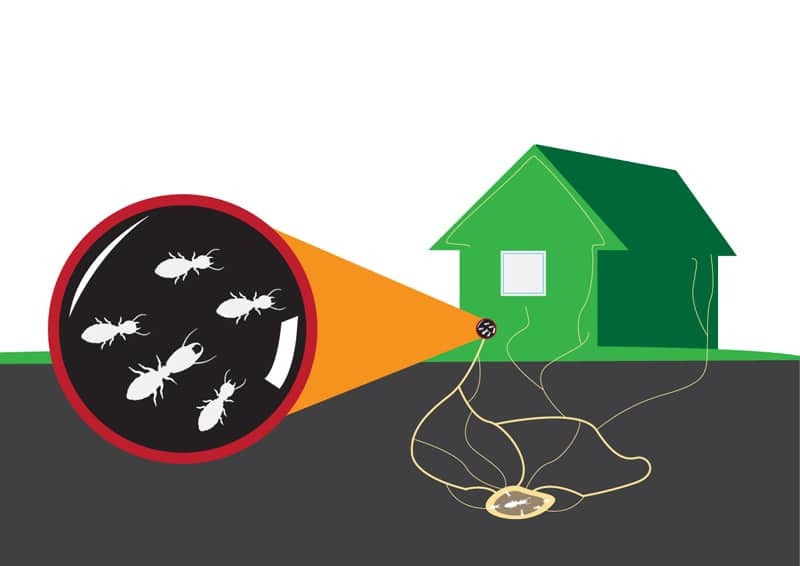 When you call in Pest Control, make sure they conduct a thorough inspection of the home with all the latest techniques; Microwave technology and thermal imaging are best for detecting termite infestations. The new innovative termite solution is an effective way to halt all suspected or active termite activity that might be damaging your walls or structure. Constant vigilance is very important if your neighbours have an ongoing or even a dormant termite problem. Early detection can help stem the problem before it has taken root. A well regulated housekeeping habit can help prevent the termite colonies from being attracted to the home. Avoid the spread of dankness in your home – especially small nooks and crannies – because termites also need food and water to survive. Being knowledgeable about termites. If you educate yourself well, then you will be able to recognize the signs and take proper precautions. Keeping up the hygiene, maintaining the upkeep of your home and taking proper precautions is the best way to wrest off a termite infestation. 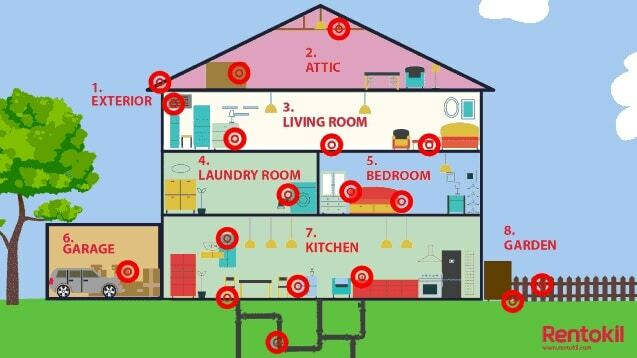 Take the first step to detect potential signs of termite activity and ask for a consultation at enquiry.sg@rentokil.com or call 6347 8138 for a non-obligation home check service.